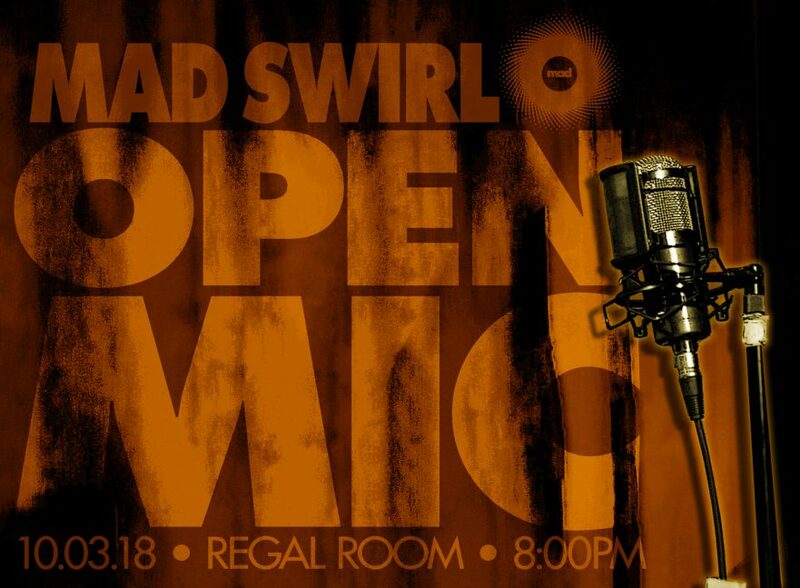 This past 1st Wednesday of October (aka 10.03.18) Mad Swirl continued to whirl up our mic madness at our mad mic-ness home, Dallas’ Regal Room (at the Independent Bar & Kitchen)! GREAT BIG YES to Swirve, for stirring the Swirl the best way in the world! More HUGE YES’es to Regal Room’s Thad Kuiper (sound), Elana & Lisa for makin’ our stay most righteous.